The disinfectant wipes come pre-cut in an easy dispenser canister, which contains 120 wipes. They are designed for the instant hygiene of objects, hands and surfaces without the need to rinse. Guaranteed safe for food contact; these wipes reduce the risk of food poisoning. They have obtained authorization to be used for the disinfection of incubators. Thus, they guarantee hygiene and safety at the same time, without being too abrasive or strong for use in delicate environments. 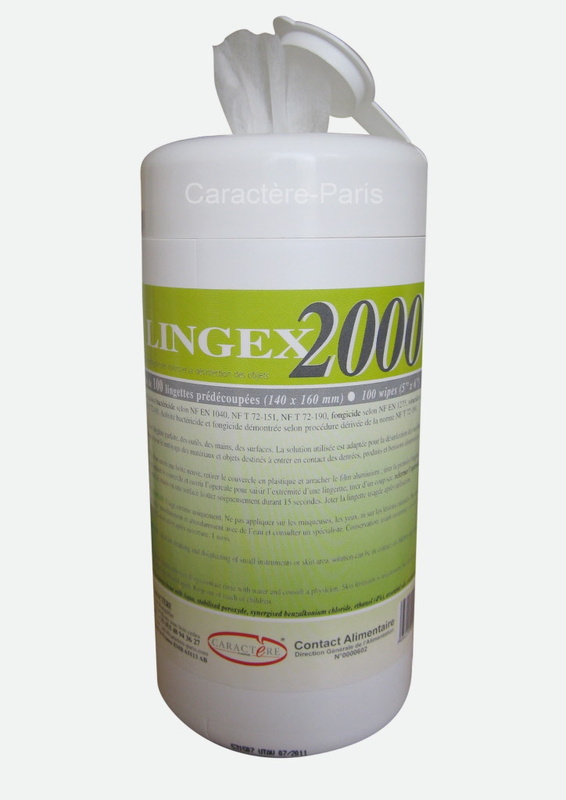 For the cleaning and disinfection of tools, such as hands, blades, scissors, tables, surfaces, medical tools, etc. Acceptable for use with hands either gloved or not. We particularly recommended these wipes to prevent infection hasards caused when removing gloves. Suspended solution containing stabilized peroxides, synergized Benzakonium chloride, 95 degree ethanol (less than 5% of total solution), essential oils and excipients. The disposable wipes come ready for use. Apply the wipe to the object, hand or surface for 5 seconds. Let dry for up to fifteen minutes. Do not rinse. Bactericidal according to European standard EN 1040 and NF T 72-151 standard afno spectrum 5, NF T 72-171 NF T 72-190. Effectively combats multidrug-resistant Staphylococcus aureus. Fungicidal according to European standard EN1275, meaning it is effective against Candida albicans. The wipes are also effective against the HIV virus in a matter of 5 minutes (MA Wainberg, 1990). Packaging: Box of 120 wipes. Question: Can you use these wipes to clean baby toys? Answer: Yes, our wipes have been approved for use in incubators. Therefore, their safety is proven. You can safely use them on children's toys and other places where hygiene cannot come at a risk to safety.